As I have not been keeping an eye on the domestic cricket within Sri Lanka, my ability to comment meaningfully on the Selectors’ choices for recent tours is limited, Fortunately, a call from Nirgunan Tiruchelvam provided thoughts from an expert student’s perspective. Nirgunan indicated that in recent years the principal wicket takers within Sri Lanka’s domestic cricket scene have been conventional spin-bowlers. Their bowling averages are way, way superior better to that of the fast-bowlers. News items indicate that the SLC administration had recently sought to rectify the problem by asking groundsmen to prepare wickets that are less spin-friendly. However, the scorse in the ongoing domestic matches suggest that the result has been a batsmen’s paradise. If the contention above is part of the explanation for the recent failures in Australia, questions arise. (A) How did more or less the same squad fare reasonably well in the West Indies recently? (B) if our pitches provide such poor training grounds for the severe examination of batsmen by pace bowling threesomes in the Antipodes and UK, how is it that over the last three decades we produced Aravinda, Jayasuriya, Sangakkara, Dilshan, Jayawardene and their like? …. Have the fast-bowling ‘threesomes’ or ‘foursomes’ in the foreign climes developed extra yards of pace coupled with a variety of tricks in knuckle-balls, slow bouncers, et cetera that make batting more testing? Or have Sri Lanka’s new generations of batsmen declined in their techniques? I do not know. I am flying a kite here. Amend that: I am sending a drone up in the sky for experts to testify (one must keep up with the times in one’s metaphors). If our pitches nurture poor quality pacemen, why place them in the side? Why not open the bowling with one paceman and, say, a left-arm spinner bowing sliders mixed with standard spin bowling? Aloysian Skipper Anwar Jawath did that with Mohamed Nizam and Roy Vanderputt at the Galle Esplanade in the 1950s. Successfully at that level. That policy would be even more effective, of course, if we had a leftie of the Derek Underwood or Daya Sahabandu type. The potential advantage here is that such lefties as Malinda Pushpakuamra and Milinda Siriwardena would be more effective abroad during the long periods when the shine is off the ball than the pedestrian pacemen who have shot their bolt (such as it may be) during the opening overs. Well, maybe. This is a thorny issue and it would be pertinent to have an ESPN expert summarize the policies on this front pursued by the cricket-playing nations in recent years. Rohan Wijayaratne has stressed the common-sense argument that the Coach’s relationship with all the players should not be compromised by indications of favouritism in finalizing a XI from a broader set. But how does one decide on Selections when on tour with only one selector in the travelling team? Modern communications by smart phones can meet that requirement of course. For the benefit of the uninitiated let men note that the present Selectors ‘Team’ are Ashantha de Mel (Chair and Head) Chaminda Mendis, Hemantha Wikremeratne and Brendon Kuruppu. Mendis is the only one I have never met. Both de Mel and Wikremeratne are strong-minded individuals and Kuruppu provided me with a lucid dissection of the Pakistani terrorist attack on the SL team bus in Lahore where he, as Manager, also escaped with his life intact. While this assessment augurs well, it does not preclude failures. The churlish and uncommunicative way in which Hathurusinghe was removed from a spot in tour selections, as Rohan Wijayaratne indicates, smacks of poor statesmanship. The axing of Chandimal as captain is a different issue. In New Zealand Chandimal the captain batted at No. 5 (six) and scored a laboured 06 runs in 34 balls in the First Test at Wellington; but did not bat because a magnificent 4th wicket standoff 263 runs between Kusal Mendis and Angelo Mathews saved a draw for Sri Lanka. In the Second tEst at Hagley Oval in Christchurch Chandimal replaced Dhananjaya at No. 3 and scored 06 runs (in 9 balls) and a resolute 56 runs (in 228 balls) in a losing cause. He continued to bat at first drop in the Test matches in Australia and produced a disastrous set of scores. There ae indications that as captain he insisted on leading from the front. This may SEEM a plus mark. I question that conclusion. What struck me in both innings at Manuka Oval was the pugnacious and decisive demeanour and style in which batsman Chandimal walked in. Good? Leadership exemplified? Not if you fail dismally. The more so when your very pugnacity contributes to your downfall. As I have remarked earlier, Chandimal’s attempt to hook a headhigh bouncer was a terrible stroke – the more so when attempted at the 09th ball he faced and that against Starc. “Stark raving mad,” one might well say. One replacement, Angelo Perera, is an experienced batsman, has umpteen runs in recent matches at home and can also bowl left-arm orthodox spin. The other batsmen replacements are Kaushal Silva and Oshada Fernando. I know little about Fernando. Kaushal’s recent form at the highest level is not encouraging; but his ability at short-leg must be taken into consideration. Thirimanne dropped a sitter (Patterson at 00 runs) in that position and Roshen missed another (Lyon as nightwatchman) which any decent short-leg should have taken. While it would be a great underground coup if one could find out if Sports Minister Harin Fernando was involved in the decision to remove Hathurusinghe from his spot as one Selector on the tour, his more recent move to assemble Chandimal, Mathews, Malinga and Thisara Perera in a convivial setting directed towards ironing out difficulties seems an excellent initiative. Kudos where applaud is due – with the proviso that ego trips by numerous sports ministers over the decades have generally not served Sri Lanka well. When the team is playing Thirimanne and recalling Kaushal Silva to the playing squad, it only says one thing – That the stables are completely barren. The fast bowlers are breaking down due to lack of proper fitness and practice. When pitches are made for spinners, the fast bowlers hardly get a bowl. so, its not entirely their fault that they are not getting enough practice. Time to go back to basics and build a team from ground up. Prepare pitches to suit fast bowlers so they can be developed. Have a more competitive domestic system. Coordinate with other countries to get our players an opportunity to play domestic cricket overseas and allow foreing players to play domestic cricket in SL. Time to think out of the box. Why wasn’t Avishka Fernando considered by the selectors. He has been a prolific scorer against Ireland and in the local arena. Michael, as erudite as you are , this piece shows that you know the cricket game very little.. The current state of the game is a reflection of the general state of the country. Cricket has had ups and downs in all countries. For example the ‘giant’ WI had the lure of athletics to contend with but there are signs of recovery. The ‘sandpaper-gate’ has dented Australia. The ‘exclusive Test’ community, the old Commonwealth, has been ‘peoplelised’ by the ODI and 20/20 AND TV. To cut a long story short: Lankan fans know that the cricket team morale is low. The slide started when politicians infiltrated the management and introduced corruption/nepotism/impunity. Lankan Cricket is in the radar of ICC as to aspects of management. Sports Minister Harin Fernando, instead of addressing these, selects the team touring South Africa. Remember it was the players who made Ceylon Cricket minnows to a Lankan ‘force to reckon’. Roberts pretends not to know this. Do his pontifications here suggests that he is diverting our attention way from politicians? With all due respect, I disagree with you regarding Milinda Siriwardena playing any role as a bowler in a Test Match. Also, you have pointed out about Kaushal Silva’s shirt leg capabilities. Other than opening batting, Silva has no other position to bat at. I think selectors should not tinker with the current opening pair of Karu and Thirimanne. Now about the selection committee, I find this committee to be the most unpredictable committee I’ve seen in a long long time. For example with the current set of new players introduced to the side, other than with Angelo Perera, I don’t see merit in any of the others. There are players who are currently not part of this tour but been in previous squads but hardly got a chance to play. Sachin Peiris, Nisala Tharaka Gamage and Asitha Fernando. Why were they overlooked in favour of 3 unheard pacemen? Why are these current selectors so harsh on Chandimal? Is it so that a Josephian Harin Fernando gets to appoint Dimuth another Josephian as the team’s Captain? Similarly, why is a relatively unheard Oshada Fernando in the side over a much talented Pathum Nissanka? Sooner or later someone was likely to make the charge of old school favouritism, and you have duly obliged. But you overlook that Dimuth has been a Test player since 2012, before Harin Fernando became the Minister of Sport, and was the obvious choice to take over from Chandimal. But what really staggers is Lasith Malinga’s appointment as the skipper of the ODI team, and even more bizarre is the reason given for it. Chief Selector, Asantha De Mel is reported as saying, “Malinga is a fighter. We need someone like him to take the team forward, to lead from the front. As selectors we thought he is the best to take the team to the World Cup.” One would have thought playing skill rather than ability to flex one’s muscles, was a more important selection criterion. Malinga was once an outstanding ODI bowler especially with his ability to bowl the ‘death overs’ so effectively – but no longer. He is now obviously overweight, not effective a bowler as he was and is a poor fielder sorely lacking in agility and speed across the field that today’s One Day game demands. Thanks for the dignified response. Dimuth is no doubt a good batsman and we can only hope that he will also be a good Captain. But when a Sports Minister meddles with a sport it is natural to assume things. My Hope is that Angelo Matthews soon recovers and becomes Captain of all formats. But if he recovers too soon then there is a good chance he may break down in the middle of the world cup or just before it. What do you think? I hope the boys bat first and score 250. Remember the notorious rotten hedging deal and who was the instrument of it who got away scot free?. He is now rewarded as the Chairman of Selectors or the Muppet as quoted by Marvan sometime back in sheer desperation. de Mel takes decisions just to snub the previous lot or just to satisfy his ego. Lasith must have even “bribed” him to get the captaincy of the one day team particularly with his erratic behaviour and lack of fitness. God only knows in this kali yuga kaalea! Interesting comment. 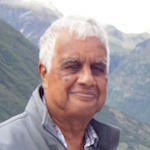 It is also instructive to note that de Mel, reputedly a kinsman of MR, was appointed Chief Selector in November during that chaotic period when MR was briefly PM, thanks to a blundering President Sirisena.